Similar prizes were offered at each of the draws in Curé Labelle’s colonization lottery. The smaller prizes tended to vary from one draw to the next. For the 17th prize draw, held on November 21, 1888, ticketholders stood a chance to win one of 1,000 men’s toilet services like the one pictured here. 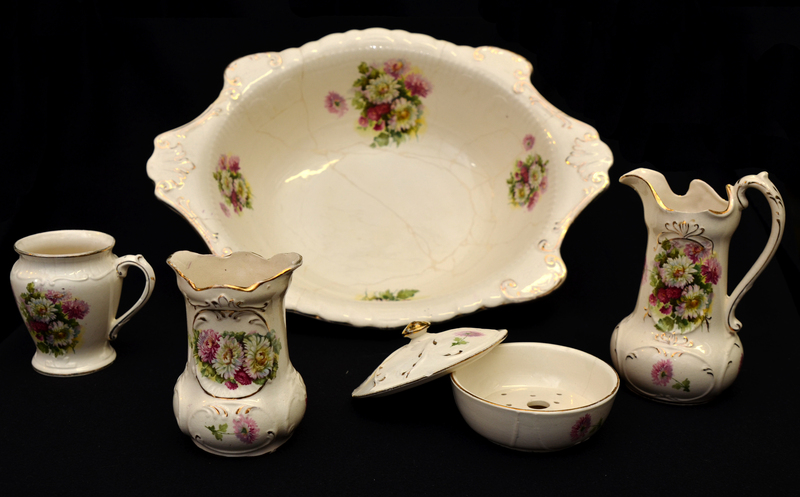 This six-piece service was used by men to wash in the morning and, especially, to trim their beards. The three pots had precise functions. From left to right: a holder for items, the shaving scuttle, and the water jug. Between the scuttle and the water jug is the soap dish, and at the rear is the shaving bowl. Used before the advent of bathrooms with running water in homes, these services would usually sit on an appropriate piece of bedroom furniture.